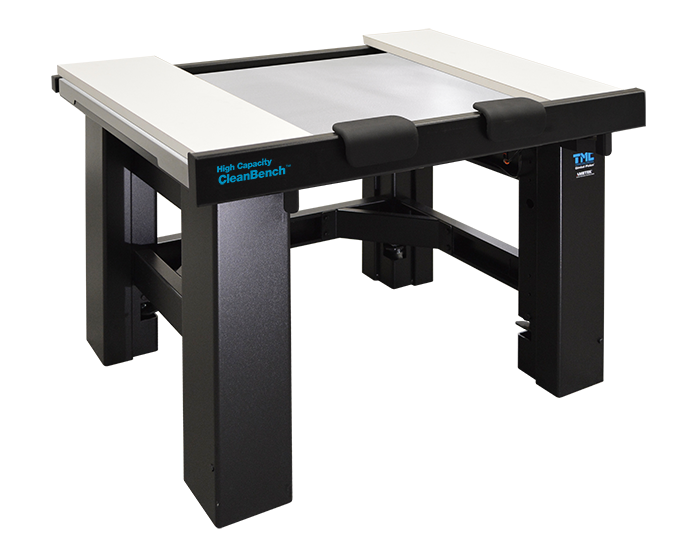 For table applications that require isolating over 350 lbs (160 kg) of net load, we recommend our High Capacity CleanBench 68-500 Series tables. They are similar in design to our 63-500 Series tables, with higher capacity isolators and a more massive stainless steel top plate. In addition to high load applications, the High Capacity CleanBench is also recommended for payloads with unusually high centers of gravity and equipment with moving stages. These applications should benefit from the increased stability. With a stiffer, more massive top plate, a lower natural frequency isolator, and stiffer, heavier leg frames, High Capacity CleanBenches provide performance that is markedly superior to any other passive table in the industry.